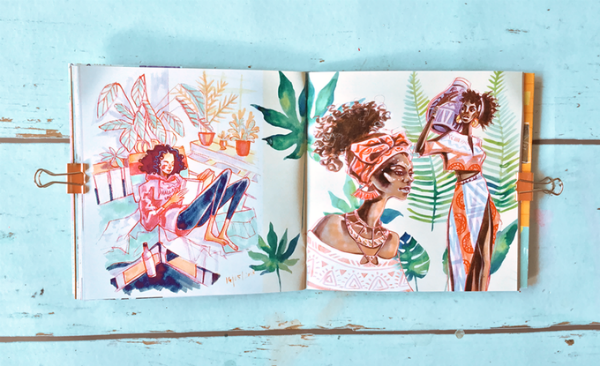 The who and what: Broken Frontier ‘Six to Watch’ creator Anja Uhren’s annual bumper-sized sketchbook collection of illustration and comics pulls together work from her last twelve months of practice into one gorgeous compilation of entrancing and beautifully coloured work. This is the fourth edition in the series (though all are standalone publications). What’s on offer: Various combination tiers that allow you to pick up back copies of Visual Thoughts along with this latest book. There are also opportunities to pledge for original art from Anja. 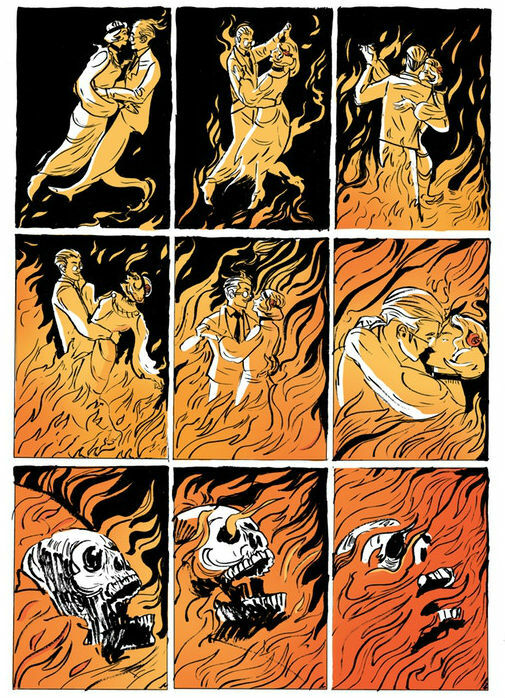 Why you should back it: If you picked up this year’s Broken Frontier Small Press Yearbook you will have seen Anja’s stunning 13-page story therein. If you enjoyed that slice-of-life offering then Visual Thoughts IV will give you a chance to immerse yourself not just in her comics but in her wider artistic practice. 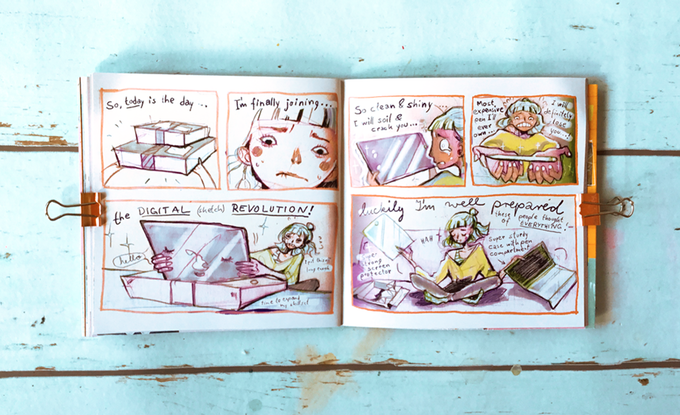 You can read a full review of Visual Thoughts III here at Broken Frontier. 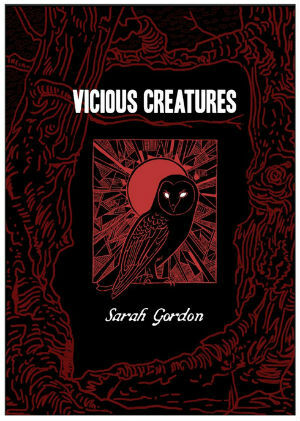 The who and what: Sarah Gordon has been unsettling readers with dark horror minicomics like The Salisbury Owl and Bright Young Things over the last couple of years and this anthology collects them all in one place for the first time with added colour. What’s on offer: You need to check out the Kickstarter rewards if only to see the ritualistic way Sarah intends to create the ink for the project with her backers’ help! There are lots of tiers here that offer enamel pins, art prints, bookmarks, totebags, original art, a page from the book and much more. It’s one of the most brilliantly eccentric campaigns in terms of rewards we’ve ever seen here at BF and we love that unique quality! 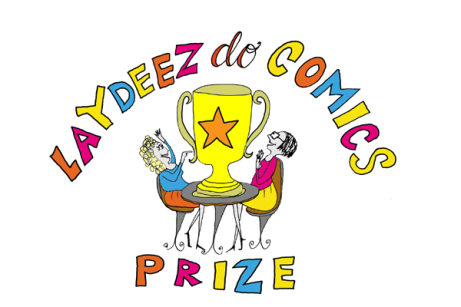 The who and what: A crowdfunding campaign to raise the prize money for this year’s Laydeez do Comics Prize for a graphic-novel-in-progress by a female-identifying creator. You can read more about the competition here and read about last year’s shortlisted six here at BF. What’s on offer: Primarily the knowledge that you’ve played your part in helping this important venture come to fruition. But there are also rewards including a VIP invite to the Laydeez Weekend event in March, a Kripa Joshi print and Simone Lia-designed tea towel, tote bag and art print. Why you should back it: At date of publication there’s just four days left to give your backing to this vital project. The Laydeez do Comics team are among the most important activists for the medium we have in the UK and the work they do has made an immeasurable difference to so many creators. Our community owes them as much support and help as we are all able to give so whatever you can do – from financial support to spreading the word on social media – will make a very real difference in these last few days. What’s on offer: Outside of the book there’s original art and commissions from Kathryn available. Why you should back it: Briggs’s work doesn’t so much push boundaries as deconstruct, reconstruct and re-imagine them. We first covered here some years back at Broken Frontier when we reviewed story(cycle) here. 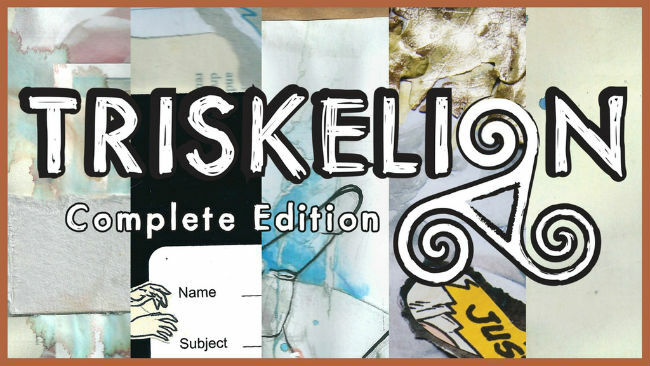 She’s been a contributor to anthologies including Sliced, Dirty Rotten Comics, Radio On and Komisk, as well as having some of her shorts collected in Magpie published by Throwaway Press. If you like incisive sequential art that makes you think about the structure of the form and the very nature of story with a dizzying flourish then this is the book for you!